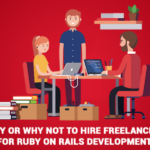 Why are we talking exclusively about hiring Ruby on Rails developers you ask? Because some of the most popular mobile & web apps that you love were built on Ruby on Rails technology: Twitter, SoundCloud, Hulu, Airbnb, GitHub, Goodreads, Groupon, MyFitnessPal, Shopify… and the list goes on! Clearly, it’s no coincidence that the RoR framework in one of the most popular. 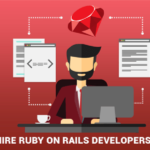 There is a lot that one can do with a powerful framework such as Ruby on Rails and by extension, with the knowledge, skill and insights of an experienced Ruby on Rails Team such as the Railscarma Team. RoR is the best choice for start-ups and businesses that are strongly committed to continuous growth and innovation. Given below are the top benefits by which our RoR Developers can help you make it large in the market. There is a simple secret to what makes an app successful: value. If you can build something of value for your customers, you are well on your way to becoming successful. With RoR’s conductive coding language, our Developer Team is able to transform the most complex of ideas and features into codes and thereby into reality without a lot of hassle. You won’t have to put a constraint on innovative business ideas! The marketplace is constantly changing and you & your app need to evolve with the changing seasons. So, when you have a great business idea, it’s important to execute it right away and not later. This is where our RoR Team can make all the difference: we develop apps 40% faster on Ruby on Rails when compared to competitors who use other frameworks. This is possible because our Developers are experienced and familiar with working on ready-made modules and plugins that are available on Ruby on Rails. Bugs are undoubtedly among the top concerns that stand in the way of launching a successful app. 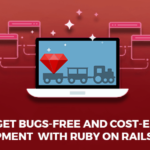 At Railscarma, our Developer Team follows a test-driven and behaviour-driven approach to development that helps them build high-quality, bug-free applications. While different apps are built with different business goals, the one common goal is to gain maximum traction. And as the business grows the app’s potential to handle requests per minute needs to be scaled too. You can bank on our RoR Team to scale your application, as needed, to handle the increasing number of visitors. Our Ruby on Rails Developers don’t just do the same thing year after year. They are a part of the highly active and diverse RoR Community and keep themselves updated with the news and the trends of the programming world. They also share new ideas and suggestion on the Railscarma blog and keep an eye out for innovative development ideas. We have a highly creative team on hand. 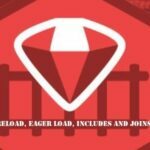 Ruby on Rails is a sophisticated framework that works customer acquisition like no other popular framework. Right from operational benefits to the ingrained value of the app features, the RoR framework makes your app to stand out from the competition. 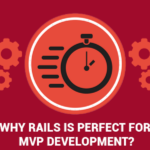 The experienced and dexterous Railscarma programmers & developers happen to be among the best in the industry and can turn your million-dollar idea into a reality. So, are you ready to transform your brilliant idea into a successful product? Get it touch.